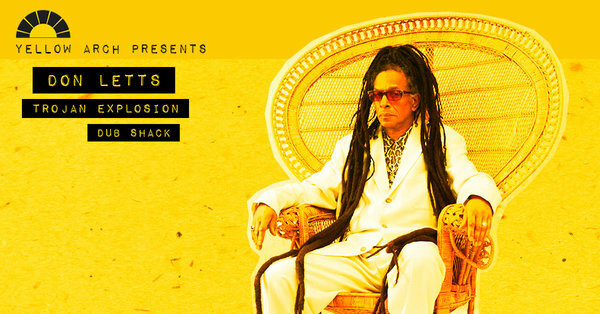 We're honoured to have the legendary Don Letts gracing the decks for a special bank holiday Sunday show. Known by many for playing a key role in fusing reggae into the punk movement in the late 1970s, expect a selection of music that defines an important era in British youth culture. Support comes from Sheffield's premier original Jamaican Ska, Rocksteady and Boss Sounds crew, TROJAN EXPLOSION and Yellow Arch's resident Reggae crew, DUB SHACK.